With extreme finesse and razor-sharp execution, drummer Dave McGraw steamrolls his way through this collection of MIDI like a battering ram. 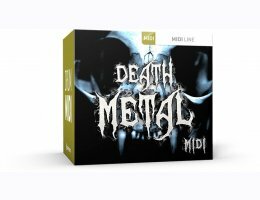 Handling drumming duties in the death metal band Cattle Decapitation, he’s obliged to master anything from the heaviest and most basic of backbeats to the utmost in technical prowess – something that goes to show in this pack. Expect the entire range, from bombastic and ultra-heavy to savage tempos, hammering bass drums and blistering fills. This is death metal drumming in its most raw and stark form, executed by a drummer at the vanguard of the international scene.